Download and start learning in a few minutes! 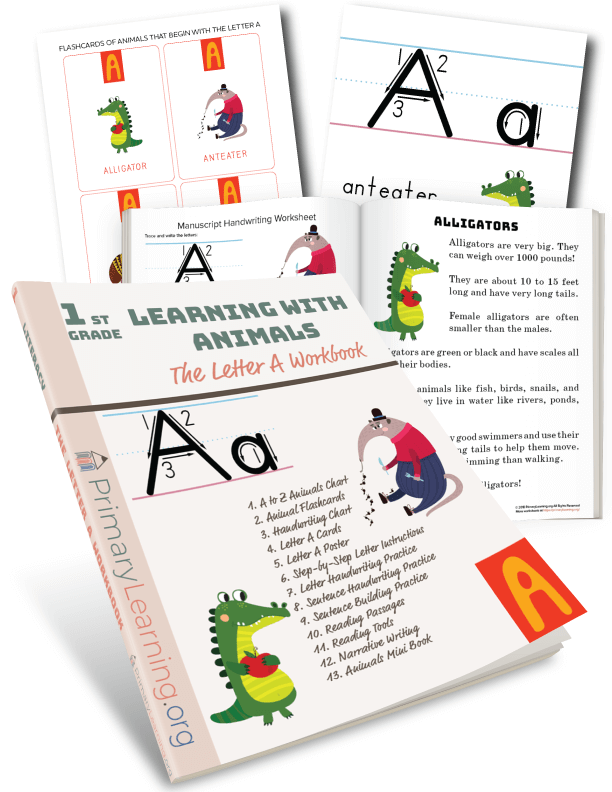 The Letter Workbook contains a variety of handwriting, writing and reading activities. Teaching students how to write requires lots of modelling, guided practice, and independent practice. Teaching reading with a meaning-making experience increase curiosity and develop vocabulary. Simply reading words on a page does not equate to understanding what has been read. With this workbook, children get plenty of hands-on and engaging activities and boost their fundamental skills. Available in both, in color and black&white. Print and write letters, so that writing becomes more fluent and automatic. Gain confidence in sharing their thoughts and opinions with others. Read with understanding and fluency. 2. 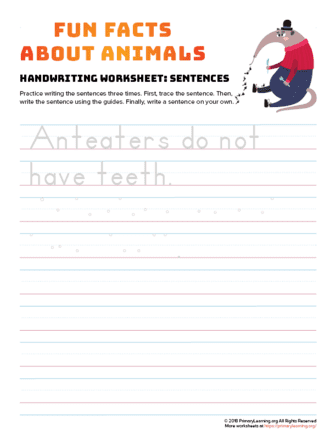 A to Z Animals Chart. 3. 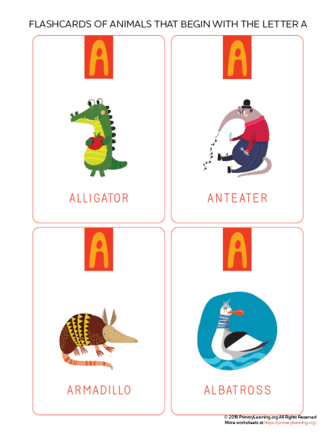 Letter A Animals Flashcards. 6. 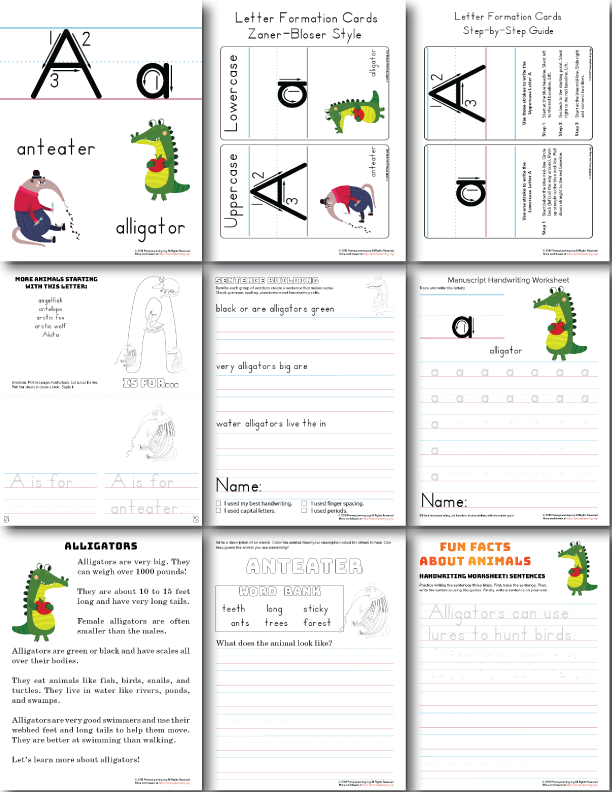 Letter A Formation Cards. 7. 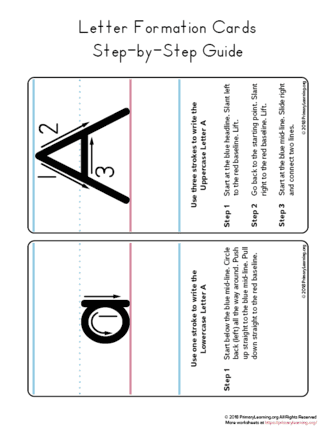 Step by Step Instructions “How to Make a Letter A”. 8. Handwriting Practice. 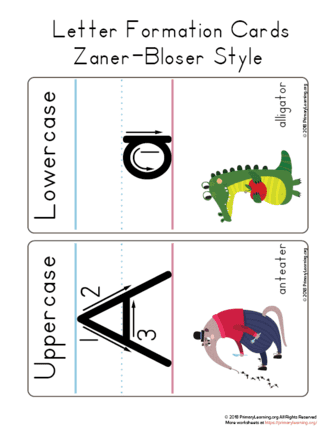 Uppercase and Lowercase Letter A. 9. Handwriting Sentences Practice. 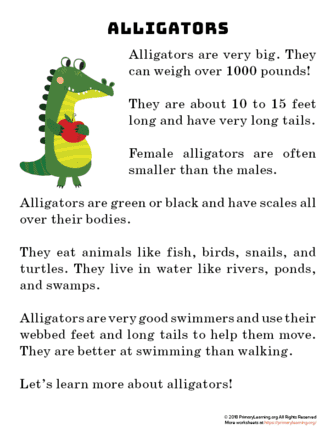 Fun Facts About Animals (Alligator, Anteater). 10. Building Sentences (Alligator, Anteater). 11. Reading Passages (Alligator, Anteater). 12. Reading Tools (Bubble Map, KWL Chart). 13. Practice Writing Informative Text. The workbook in PDF format and available for instant download. No shipping. No waiting time. You’ll receive your download link immediately after payment.